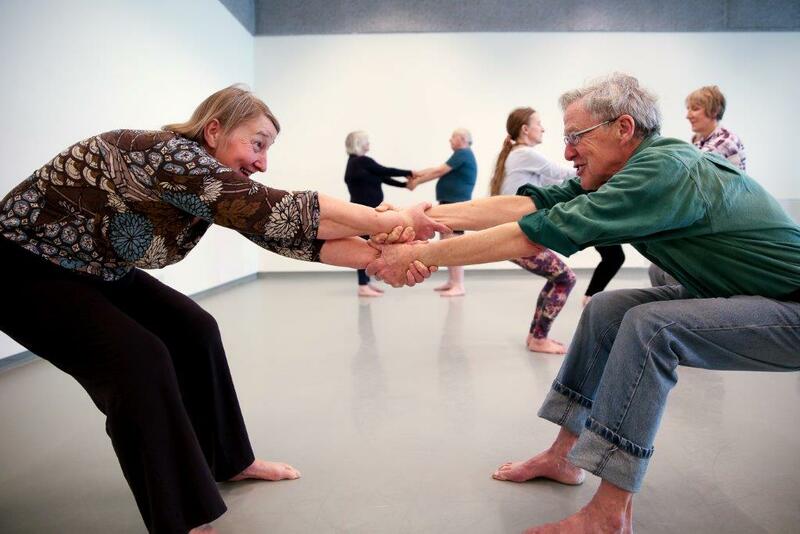 In Nick’s final article in the Trinity Laban series he looks at the extensive mix of Health, Community and Older People projects offered by the Learning and Participation (Dance) Department. Trinity Laban has a world leading community participation programme, which has been cited by the Office for Fair Access as an example of Best Practice and boasts over a decade of high quality activities. The latest project, kicking off this term, is Dancing Ahead. Funded by Headstart Lewisham, Dancing Ahead will offer fun and creative dance classes for young people in a Lewisham primary school to support their transition to secondary school. Classes are experiential and centred on the interests of the participants who will be fully involved in the creative outcomes of the activity. This group is targeted at young people at risk of low resilience and poor mental health. In partnership with Headway – the brain injury association – weekly classes are held in the Laban Building in Deptford for those who have suffered an acquired brain injury or stroke. This project supports the health and wellbeing of this group of people, providing experience of moving and dancing in a safe and supportive environment. This summer Trinity Laban will work with Kaleidoscope again to provide services for local children and young people who have special health, education or social needs. Kaleidoscope brings together specialist community services for health, disability, mental health, education and social care. Trinity Laban provides one senior dance artist and one experienced dance assistant to deliver a weekly programme for Kaleidoscope in collaboration with their resident physiotherapists. This programme is the first project of its kind on such a scale in the UK! Pulse – Dance, Create, Activate a Happy, Healthier You! The Department has been working with Vital Arts, as part of The Royal London Children’s Hospital, since 2010. The L&P (Dance) Department works alongside two teams of paediatric physiotherapists, the hospital school and play specialists to roll out dance residencies. 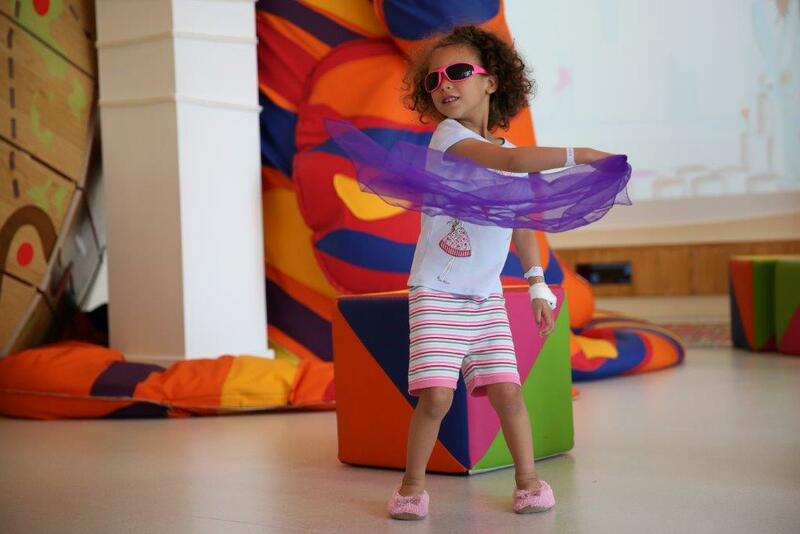 This fully inclusive dance and creative movement programme includes sensory work for those with special needs, bespoke one-to-one classes for patients undergoing neuro-rehabilitation, cardiovascular workouts for respiratory patients, creative movement for babies, toddlers and their parents, with street dance and hip hop with those attending outpatient clinics. Sessions take place in play areas, clinics, wards, waiting areas, classrooms, physio gymnasiums and a giant internal play space – proving that dance need not only take place in a studio! This summer Trinity Laban will be working with older people in the hospital for the first time ever. As well as this new venture with Vital Arts the Learning and Participation team across music and dance hosts four established groups for over 60s. Retired not Tired includes Dance for Health, All Singing All Dancing, The Arts Befriending Group and Bellingham Young at Heart. Dance for Health is a weekly dance class held at the Laban Building, with a Pilates element that allows a creative grounding in contemporary technique to flourish. This class has had opportunities to perform at many platforms including at the Brighton Dome in November 2014 in the Three Score Dance Company’s Winter Festival. Groups from across the South East come together to perform at this spectacular event. The three other groups that make up Retired Not Tired take place across Lewisham and allow over 60s to experiment with music and dance, whilst meeting new people and having that moment in the week where they can be creative and have fun. If you aren’t already participating in the array of activities at Trinity Laban then get involved now! What’s on dance! London’s March Dance List is here….